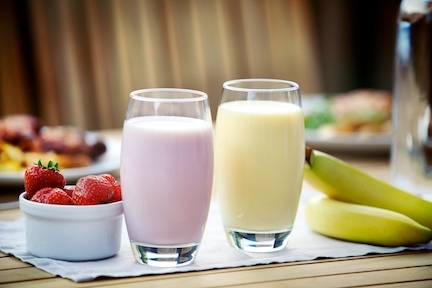 Acidified or fruit drinks are generally low viscosity, refreshing drinks, based on yogurt, milk, whey or buttermilk. They are normally low in fat and acidic due to the fruit content. Acidified drinks have become popular in various forms worldwide in recent years, with a positive consumer image, combining the health benefits of dairy and fruit. Acidified drinks are perfect for the modern consumer lifestyle: being portable, nutritious, easy to consume and relatively low in calories. They can also have health benefits and are easy on the digestive system. Talk to us today about options for your new acidified fruit drink. Please get in touch, we would be glad to help you with any product issues you may have. KaTech can help drinks manufacturers to keep costs down and product quality high. Our approach to cost optimisation is to use our pilot plant facilities and expertise in functional ingredients, to design a product that meets your cost brief, within your existing process capabilities. Here at KaTech we have the expertise to help you reduce the cost of your recipe and processing costs. Suitable stabiliser systems can be developed to replace expensive milk solids, cream or fruit in acid milk drinks, whilst maintaining viscosity, full body and creamy mouthfeel. Contact us to discuss how we can help reduce your recipe costs.